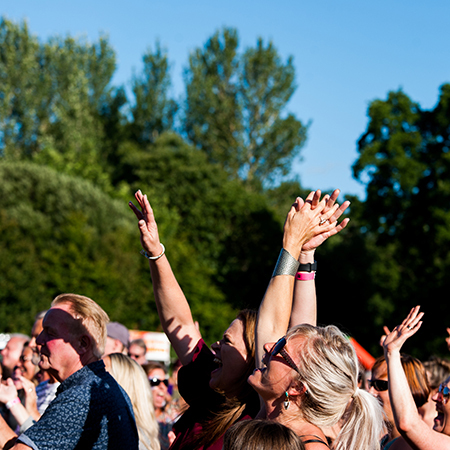 Frimley Lodge Live, Surrey Heath's very own music festival is back for its fifth year on 4 & 5 August 2018! This event fills a whole weekend with awesome music entertainment live from Frimley Lodge Park. It is a fantastic event for the whole family! Our Frimley Lodge Live pricing operates on a tiering system. Once one price band sells out, we'll release tickets for the next one. Gates open at 11am. There will be a licensed bar and food available on site. For more information, please take a look at our FAQs. Download the event timings for Saturday. Download the event timings for Sunday. *Please note, this event does not follow the traditional theatre seating plan as this is an outdoor event.